The primary demographic of people using Snapchat? Young people, especially millennials (ages ranging from 18-34). 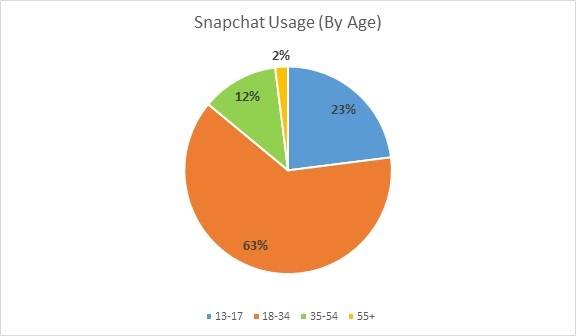 As you can see above, millennials are largely responsible for Snapchat’s popularity, with 63% of the app’s usage being attributed to this age group. Recent studies reveal Snapchat as now being the third most popular social media app with a 32.9% penetration in the demographic’s mobile phones, closely following behind Instagram (43.1%) and Facebook (75.6%). So what’s the appeal? Why are more and more millennials turning to Snapchat as a social outlet? The Ephemerality Factor. Unlike its primarily text-based counterparts like Facebook and Twitter, Snapchat focuses on sending photos and videos to a selected network of friends. Called “snaps”, these messages are selected to be viewed for a short amount of time from one to ten seconds and cannot be viewed again (although you can “replay” any snap once a day.) Snapchat “stories” are posted on a user’s account for everyone who follows them to view for up to 24 hours, and then it disappears. This temporary format is attractive to younger people who might wish to have more personal, face-to-face conversations digitally with the lessened risk of them being distributed or viewed elsewhere, which enables users to feel more comfortable about what they’re sharing. The app’s ephemeral design has been a huge selling point and although other social entities are starting to mirror Snapchat’s 24-hour format, (looking at you, Instagram) it has become the pioneer for this form of storytelling. Geofilters. Depending on a user’s geographical location, Snapchat allows designs to be placed on top of a snap. It could be the name of a city, brand or event that appears and lets friends know where users are and what they’re doing without having to say it. Millennials love the quick and efficient interaction that geofilters provide. Fun Selfie Animations. Perhaps the most noted feature of Snapchat, animated selfies enhance the fun factor of the app. Animations transform the user into various characters, from a dog sticking out its tongue (a user favorite) to a paranormal ghost sponsored by ‘The Conjuring 2’ movie. It’s no surprise that this component of the app is especially alluring to Snapchat’s younger demographic. “Memories” function. The newest feature of the app, “memories” allows snappers to look back on their digital lives. Every snap saved from the app is automatically added to the memories tab, whether the user actually posted or sent that snap or not. The user can look at previously saved snaps as well as photos and videos from the camera roll and then use that content either to post on their story or send it to chosen individuals in their network. The memories function makes it easier to capture a moment and share it later, compared to the previous model of sharing content to Snapchat in real time as it happens. Memories is popular among its core user base of 18 to 34 year-olds, and the feature might even be able to significantly expand upon its community by allowing those who might be less technologically-savvy to upload previously recorded content to Snapchat. Still thinking Snapchat is just a trend and isn’t going to last? Think again. Reports have revealed Snapchat as the fastest growing social network to date, reaching 100 million daily active users in just four years since its launch. 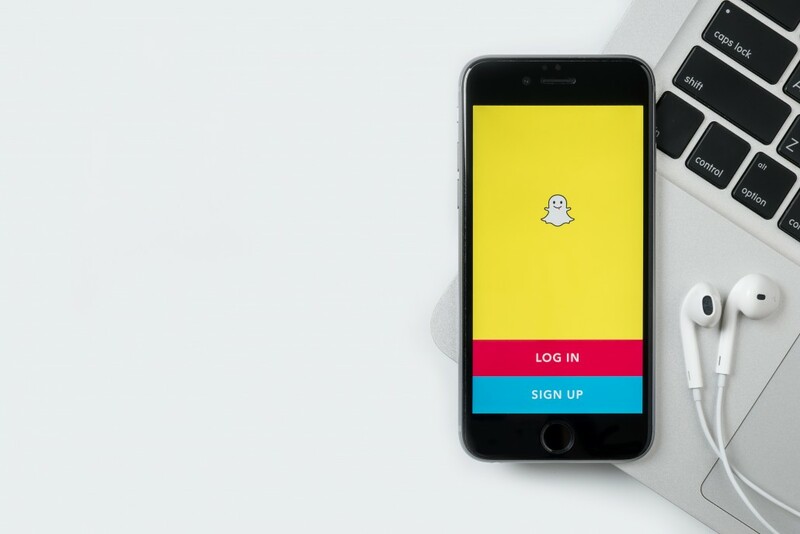 Whether you are a general user or a brand looking to utilize social media, taking the time to discover Snapchat could reap some serious benefits.